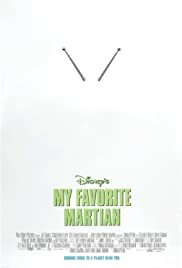 A Martian lands on Earth and makes friends with a reporter. Courtesy of Justice Record Company, Inc. Under license from Justice Music Corp.
We went into this movie because my husband had enjoyed the original version of `My favourite Martian'. We had our 6 year old daughter with us. She wanted to leave halfway through the movie which was fine with both her parents! The parts we did see were only occasionally humorous, mostly either too silly or gross. I would expect that this movie might appeal to kids between 9-12, if that. It's definitely not suited for younger children. From what I've heard the original series was by far superior and if you are going to "relive the past" you'll probably be disappointed.